Sauder School of Business (University of British Columbia, Canada) BCom. 2012 graduate with experiences in marketing and market research. 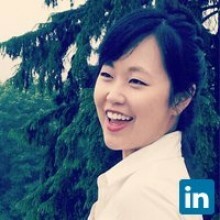 Specialized in Marketing with a concentration on Sustainability, as well as a minor degree in Psychology. Native fluency in English and Korean. •Assisting in the delivery of research projects and voice-of-the-customer programs using Confirmit’s mobile software (SODA) and integrating with Confirmit’s main platform. •Ensuring that the projects are delivered on time and in scope with the highest level of quality by liaising and coordinating enterprise clients by communicating with project stakeholders to understand project requirements and defining scope. •Contractual Korean-English translator for negotiation between Eudem Co. and Nokia for new design of cell phones made with innovative material.